The students of Lone Hill Middle School are having to face the cruel, unsettling and for most, unexpected side of social media. Their classmate, an unidentified girl, received startling and horrific death threats via Instagram. 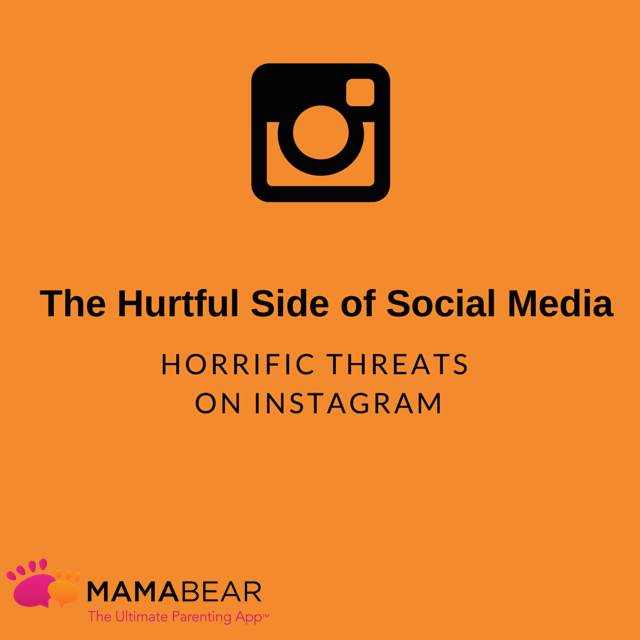 While police and school officials are doing everything possible to find the person behind these anonymous threats, parents are left wondering how they can protect their own children from the ugly aspects of social media. How Many Tweens/Teens Use Social Media? The sheriff’s office involved in this incident has been very clear that the authorities take this type of threat very seriously and there will be consequences when the person behind the threats is caught. Cyberbullying affects both the victim, who will carry emotional scars, and the bully, who if caught, can face severe legal action, or financial consequences. With serious consequences associated on both sides of the cyberbullying epidemic, it is critical for parents to take an active role and speak with their children about this topic. Children should know that there are options when they are the victim of cyberbullying and they should also know the negative consequences of being a cyberbully. As parents, we sometimes go by the old adage “no news is good news,” but our children, who may be afraid to speak up or who think they can handle the situation on their own, are struggling silently. A lot. Social media is a privilege, not a necessity and parents have every right to closely monitor their child’s Internet usage, including social media accounts. Children have grown up with technology, are tech savvy and may know how to keep their parents from seeing their online activity. Insist on having the passwords to your child’s accounts and monitor them daily, asking questions if you see something suspicious or unsettling. Parents can also help their children avoid this type of harassment by keeping an open line of communication. MamaBear, The Ultimate Parenting App™ closely monitors your child’s popular social media accounts all in one convenient newsfeed, including what they are posting, tweets and pictures, and also what is being said back to them through comments, messages or any other means of communication. The app, available on iPhone and Android devices, will alert you to any signs of bullying creating the opportunity for you to open up a line of communication and extract information from your kids. The MamaBear app also offers a private communication portal so you and your family can share messages and stay on top of any situation. Your kids do not have to be a victim to cyberbullying. Use MamaBear and be aware and informed before your child has a problem!